For those of you aiming to compete in the Baja 1000, Dakar Rally, or just looking to start freelancing as a explosive ordinance technician, the new Klim Adventure Rally jacket and pants was made just for you. If you are already familiar with the Klim Adventure Rally jacket and pants, then you already know that this is the closest thing to a home you are going to be calling for durations of your globe trotting moto adventure. The previous generation of the Adventure Rally suit was already indestructible and yet Klim managed to implement great improvements into the new for 2016 version. The main difference between the previous and the new version of the suit will be, in how the garments are designed to fit. The Adventure Rally pants and the jacket were designed to be bombproof and as comfortable for a motorcycle rider that is going to be blasting hundreds of miles off road on his rally bike. With that in mind, every ounce of weight counts against you in this hellish endurance race. 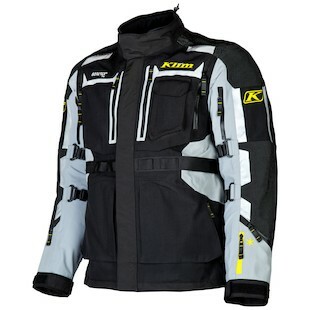 Klim improved the new 2016 version of the Adventure Rally suit to be more form fitting and subsequently lighter in weight by cutting away the excess textile fabric. It’s designed to work with your body and not against it, which is why Klim decided to incorporate stretch panels at the shoulders to give you a better range of motion. By cutting down on the excess bulk of the material and incorporating more form fitting materials the Adventure Rally suit will be lighter and more comfortable when you are going to be racing through the sand dunes. The Klim Adventure Rally Jacket features the Gore-Tex 3-Layer Pro Shell Armacor construction. The impact areas also are reinforced with Superfabric. In addition, Klim has partnered with D3O to designed a new Xergo armor that will meet and exceed CE Level 2 certification. The jacket will also include a new Viper Pro CE Level 2 back protector in addition to the fully ventilated silicone Dow Corning Deflexion chest armor.To keep your organs protected and to give you more support for the lower back, the jacket also features a fully adjustable kidney belt. The jacket’s collar has been redesigned to cut down on the bulk. The new Adventure Rally jacket’s collar will still be compatible with off road neck braces as well. The jacket will also include the 3Liter Hydrapak reservoir to keep you cool and hydrated throughout the race. The internal moisture wicking mesh internal liner will help you in keep in you cool and comfortable as well. 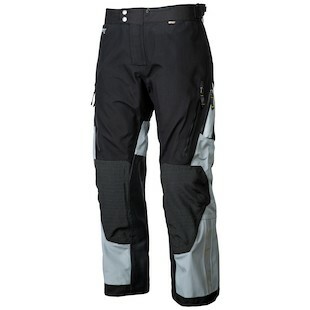 The Klim Adventure Rally Pants similarity went under the knife so to speak. Motorcycle endurance races are tough as it is, which is why it’s vital for the rider to wear gear that will be a perfect blend of protection as well as comfort. The new Adventure Rally pants will have a lower rise to eliminate the baggy fit and improve the comfort of the rider. The leather panels on the legs have been enlarged as well to improve durability and protection of the rider. Similarly the pants feature the Gore-Tex 3 Layer Pro Shell Armacor construction. For extra abrasion resistance the knee areas was reinforced with Superfabric. In terms of impact protection, Klim included D3O Xergo knee and hip pads that will exceed CE Level 2 safety standard. In addition, the pants also feature Poron XRD Extreme Impact Foam for protection against fractures of the tailbone. The Adventure Rally suit was designed for the rally, endurance motorcycle racers in mind. Only 100 of these suits were actually produced. The suit was designed for the motorcycle globetrotters that will be living on their bike for months or years during their travels. You know who you are.